To get the idea of how the app works watch this short video tutorial. 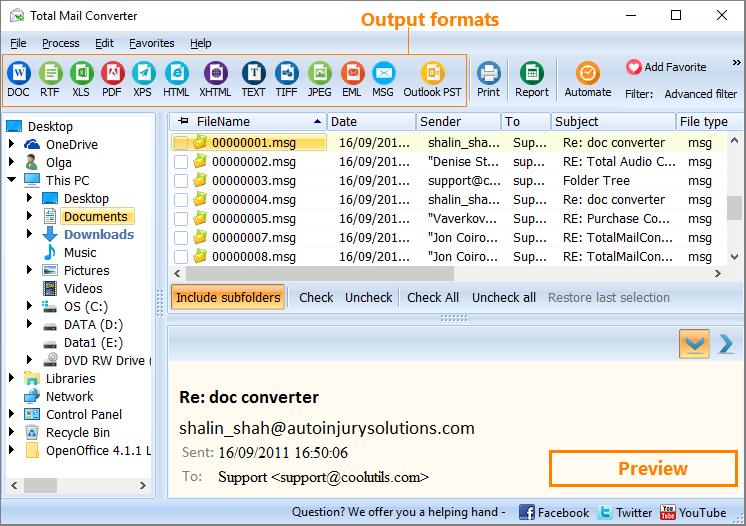 Refer to the PDF help file for more details. 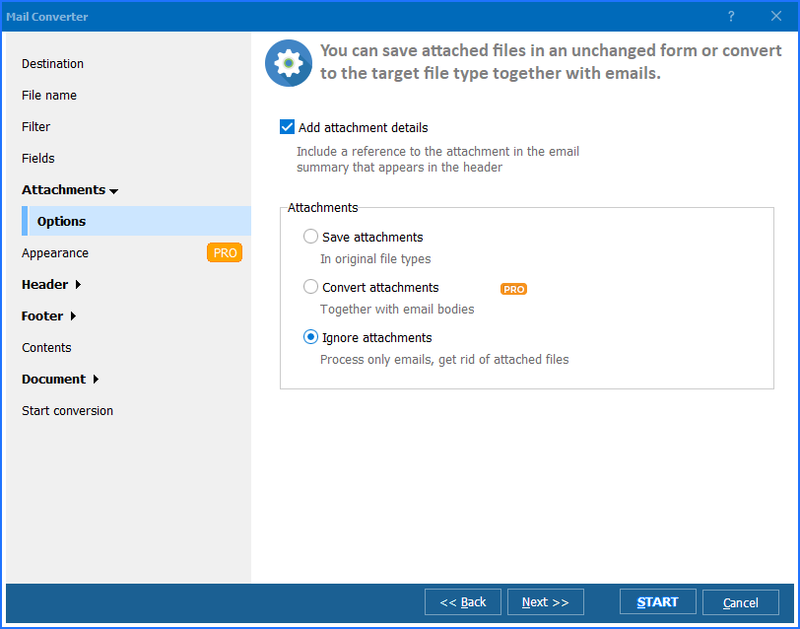 Convert emails and add any text to the header and the footer of each page! 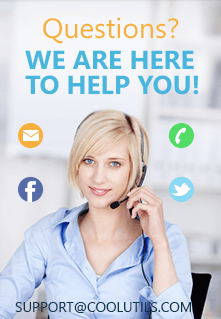 Dates, page counters, bates numbers, legal notes, company's name, copyright - anything you may need. 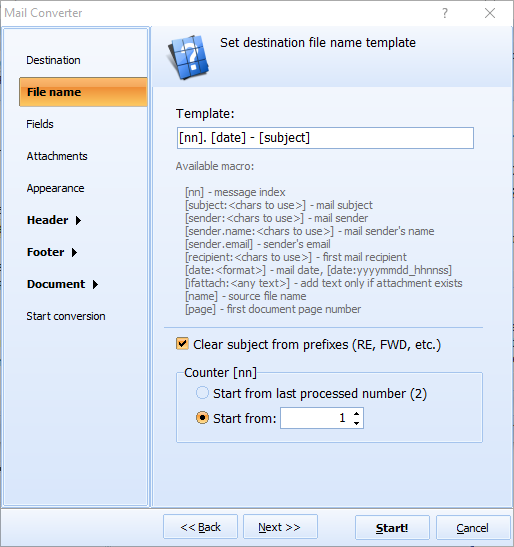 Convert emails to one PST file for easy importing to Outlook.